The personal assistant to President Muhammadu Buhari on new media, Bashir Ahmad, has said the president refused to campaign for candidates of the All Progressives Congress (APC) after his re-election because he wanted the people to vote for candidates of their choice. Ahmad, who made the disclosure on Saturday, March 23, said the party wanted President Buhari to visit some states after the presidential election, but the president cancelled the plan at the last minute. Legit.ng gathers that the presidential aide said in a tweet on Saturday, March 23, that President Buhari stated that people should be allowed to vote for whoever they want, not because of him. Meanwhile, Legit.ng previously reported that the Independent National Electoral Commission (INEC) declared the incumbent governor of Kano, Abdullahi Ganduje, winner of the gubernatorial supplementary election in the state. After the collation of figures for the poll conducted in 28 local government areas on Saturday, March 23, by the Independent National Electoral Commission (INEC), the Peoples Democratic Party (PDP) polled a total of 10,239 votes, while the All Progressives Congress (APC) secured 45,876 votes. The state returning officer Profesor Bello Shehu, announced that Ganduje scored 1,033,695 votes while his closest opponent Abba Yusuf polled 1,024,713 votes. In another previous report by Legit.ng, President Muhammadu Buhari expressed gratitude to God and all Nigerians for re-electing him as president, describing the process as free and fair. The president received his certificate of return from the Independent National Electoral Commission alongside Professor Yemi Osinbajo, from Professor Mahmood Yakubu on Wednesday, February 27. He promised to continue to work for the country’s progress and consolidate on his administration’s focus on reviving the economy and fighting corruption. 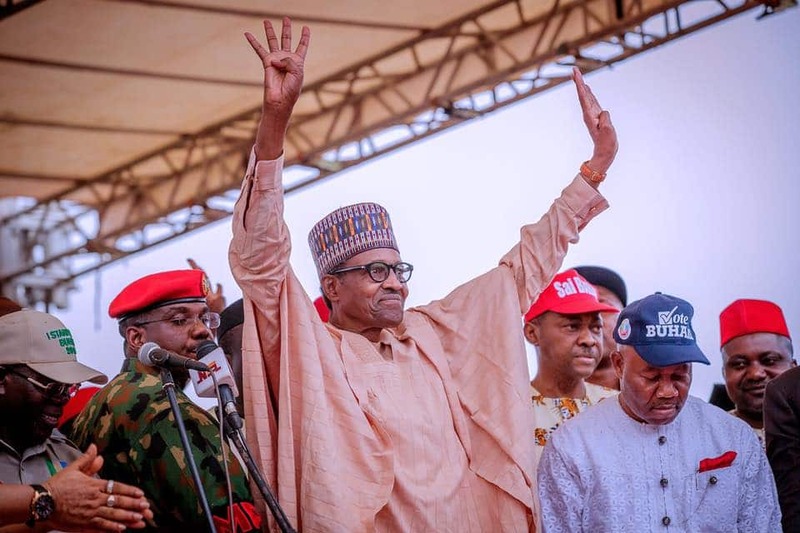 Buhari expressed gratitude to God for sparing the lives of the people to witness another milestone in Nigeria’s democratic development, conclusion of the presidential election in an overwhelmingly peaceful manner. He congratulated all the presidential candidates and their teams on a hard-fought campaign. The president said: "We may have had different views during the campaign, but the one thing most of us have in common is love of our country and our desire to improve conditions for Nigerians." "From the comments of several observers both local and foreign, it is obvious that the elections were both free and fair. "Now that the elections are over, and a winner declared, we must all see it as a victory for Nigeria, our dear country. That was why I encouraged my teeming supporters, in a speech I read earlier today, not to gloat. Our God-given victory is enough cause for joy, without deriding those who were in the opposition. All Nigerians, going forward, must stand in brotherhood, for a bright and fulfilling future."